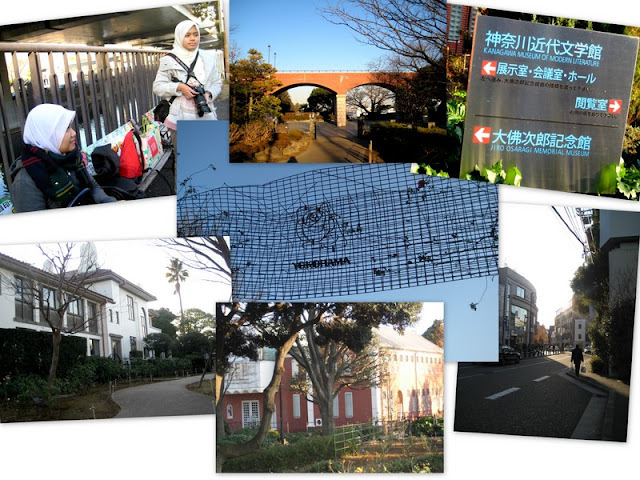 So I spent my winter hols at Tokyo for 5 days :) It was good to blow off steam for a while since it's been so hectic at school and classes and labs, and I really needed a break. An offer came from a friend suggesting we go there and another friend said he can tour me around, so I said yes. Thank you to the girls for making it real even though it was a last minute thing, and to the friend who've helped us throughout the whole trip..AWESOME LA YOU PEOPLE MUAH! Reached Shinjuku Station at 7 am, I was so bloody tired from the 13-hours journey..Hiroshima so far whyyy. Lepak-ed at one of Shinjuku's many Starbucks. Wandered around the shopping malls for a while. 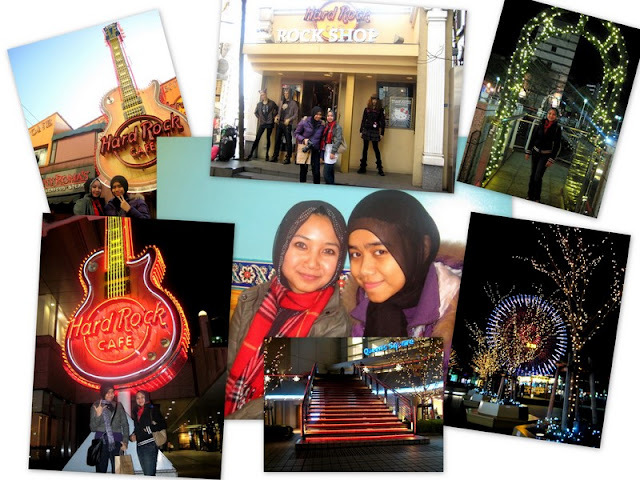 Took the train to Roppongi - where the Tokyo's Hard Rock Cafe is. Bought another HRC T-shirt which I know I'd end up wearing at home. At night, went to Sakuragi-cho where the Yokohama's HRC is. Didn't buy anything this time. Brunch at Thailand's restaurant. A plate of chicken with rice, soup, dessert for only 950 yen!! OK die now. Went to the museums, closed too. So took pictures of the buildings je lah. There was this garden, I forgot the name but it was awesome :) It faces the famous Yokohama's Bay Bridge so you can see the breathtaking view from the garden..so pretty I'm not kidding. I wish I had recorded it. I wish I had taken more pictures pfft. Still at the garden. You can see the Bay Bridge in the pictures but it's so far away..and the view is better at night, kot. Went to the Doll Museum. Paid 800 yen just to see dolls everywhere haha. It was worth it anyway. Learnt a bit about doll's great great grandfather, too. Some of the white, bulat eyes scary-looking Japanese dolls creeped me out. Covered Marine Tower, Yamashita Park and Osanbashi Pier. OMG the view from Osanbashi Pier was so amazingggg -_- We saw couples everywhere since it is a romantic spot and were feeling somewhat sad. Haha. 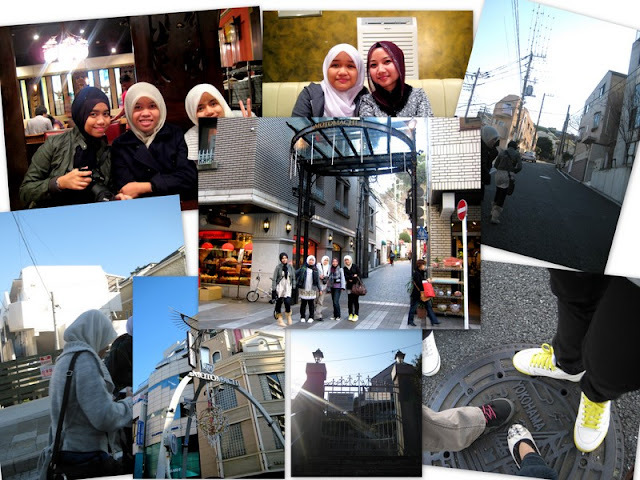 The girls went to Shibuya with their friends so it was just me and Kak Sha. 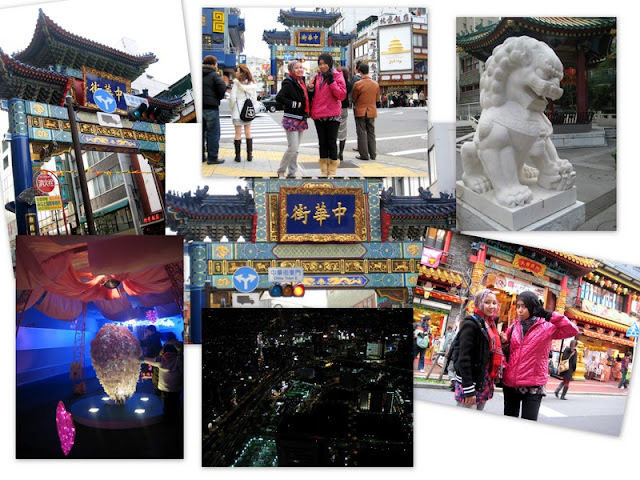 Went to Chikagai(China Town) for the first time in my life. The scene reminded me of Myongdong, Korea. Oh, yeah, didn't buy anything. So proud of myself! 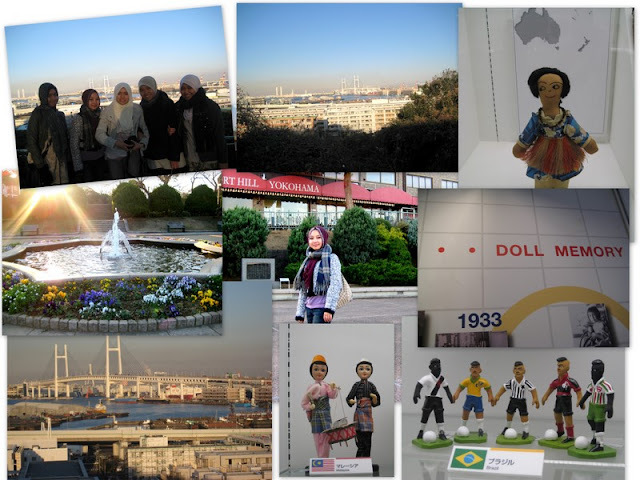 Strolled along the famous harbour all the way to Minato Mirai. This time my camera's battery went dead (stupid unprofessional camera betrayed me) so I don't have the pictures. We walked along the street named Bashamichi and took the picture of the street sign just to annoy Basha. 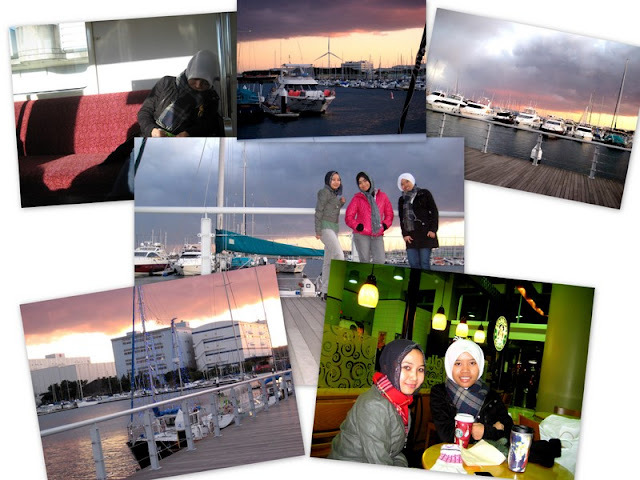 Pictures banyak at Kak Sha's Fb. At night reached Minato Mirai, had dinner and watched Avatar 3D. Awesomeness. Went to the Marina Outlet and went crazy hehehe. I was dead broke. But the scenery was so beautiful especially the sky and the sea..I wanted to get on one of the kapal layars there so badly. Gotemba (one of the famous outlets in Japan) on new year is not as fun as you think. I saw some Malaysians there among the many shopaholic Japanese pushing each other because it was so bloody crowded!! And seeing them shopping is definitely not fun. They might be polite but when it comes to sale, there were serious pushing and swearing and I-get-here-first-I-get-this-first looks..I'm not kidding. 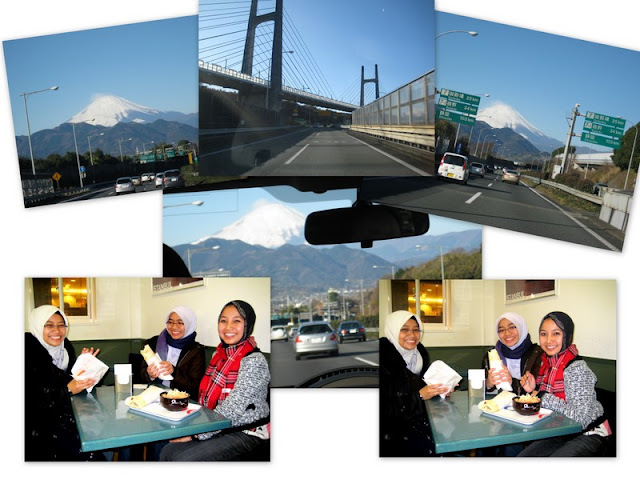 And finally I saw Fuji-san in front of my eyes :) No need to climb whatsoever..hehe. Met some friends in Shibuya before going home. Shibuya's kebab is awesome. I was thinking of saving money when someone gave me the link to Taylor Swift concert in Tokyo in Feb. Hish. And Lady Gaga concert in Apr!! Bye bye new year resolutions. ske la layout baru nih dr yg lame..
insyaAllah klu rajin lps ni letak hehehe. KAN?! i knew it i should go to both!! hehehe ;) thank you for the support ;) haha.dahla taylor swift tu sehari je.isk. zatil,try bkk this blog.tatau la zatil dah tau x ke blog nih. just saw the blog :) nice blog! i wish my blog could be that famous hahaha ;) yea suke la her style,org jakarta mmg stylo-mylo ke iskkk.